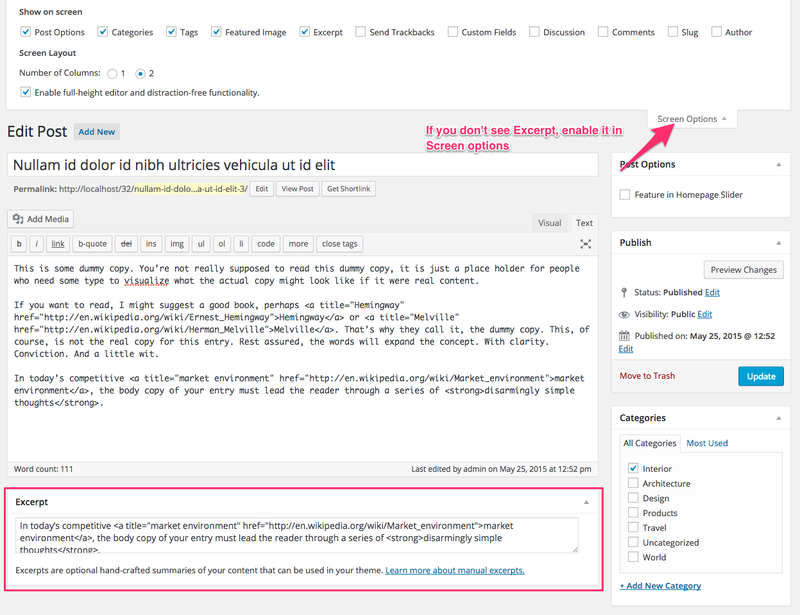 This theme allows you to decide what kind of content you want to display in the slider: Posts or Pages. 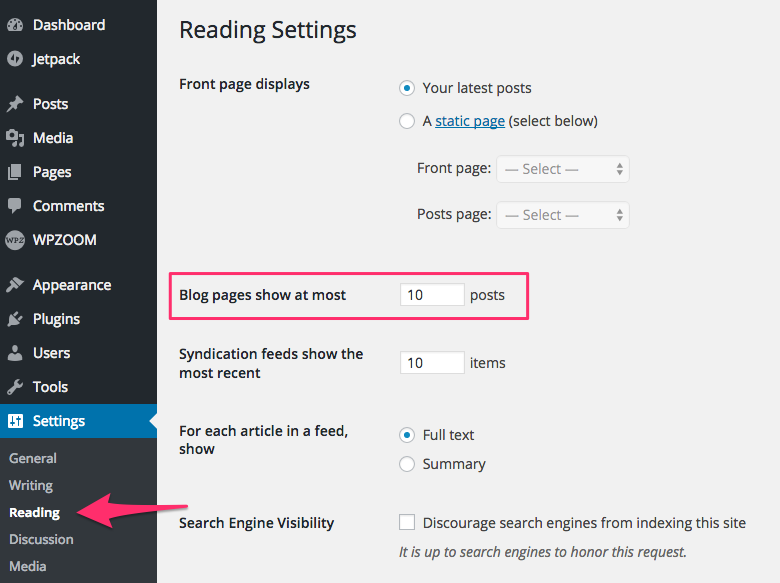 You can select the content source in Theme Options > Homepage > Featured Slideshow. 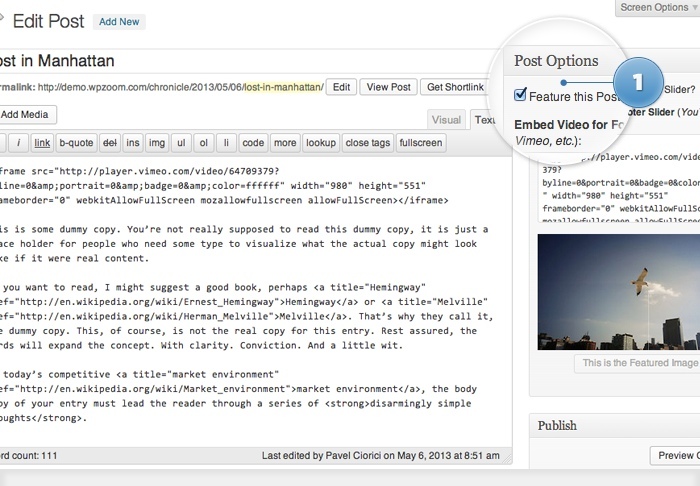 Once you have selected the source, a new box called Post Options will appear in the top-right of the editing page. Using Page Link To plugin you can easily set a custom URL to title to a different page or an external site in the title of the slides. This can be useful when you use Pages in the slider and want to set a link to your Shop page. To enable this section you need to install and activate WooCommerce plugin. To mark a product as featured go to: Products > Products and select the Star in the featured column. In Theme Options > Homepage > Featured Products you can set the number of products to display on the homepage.